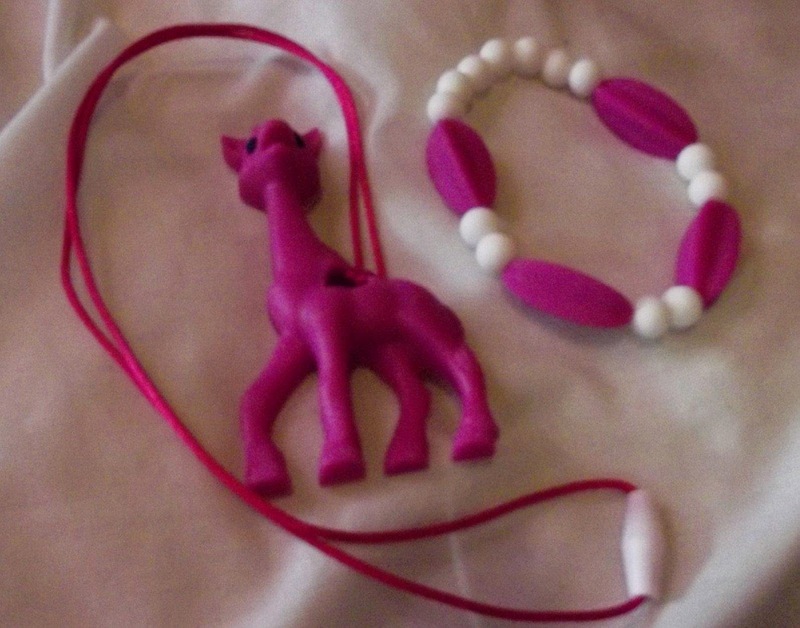 Silicone teething necklace is an adorable giraffe pendant that moms can wear to help their babies through teething pain, with coordinating teething beads bracelet. When your baby is feeling bitey these beads will be in reach to be chewed on and relieve oral pain by providing gentle pressure on the gums. You won't have to worry about your child dropping a pacifier or teething ring on the dirty ground and picking up germs. The beads and giraffe are made of BPA free food grade silicone that has been sterilized before packaging so you can have peace of mind. Do wash them in warm soapy water before first use. 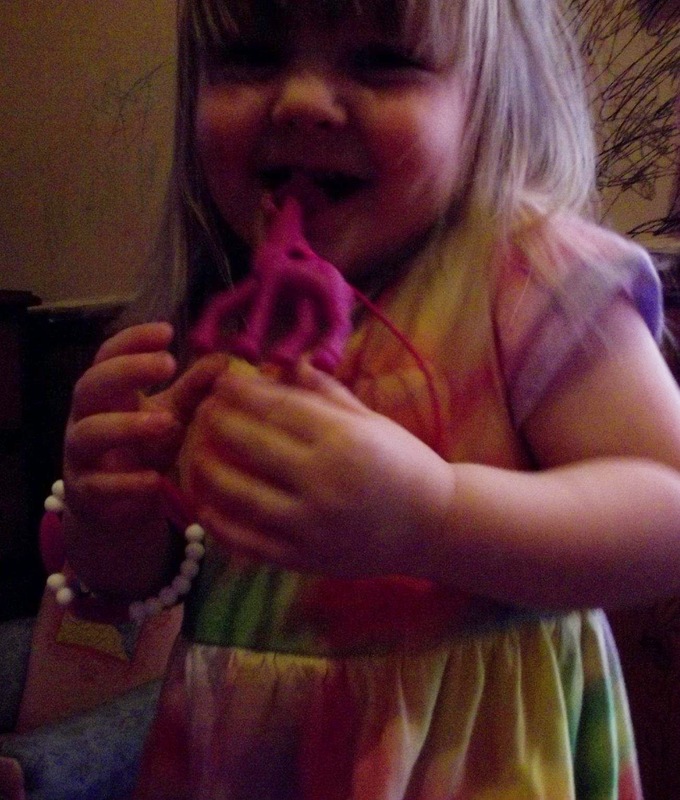 Do not leave in crib or with unsupervised child, this teething jewelry is intended to be worn by an adult. Wearing a teething necklace during breastfeeding will keep baby engaged in the task at hand and provides visual stimulation and fun which may lead to longer feeding sessions. Experienced nursing mothers know that an infant is going to grab your jewelry regardless, so make it a safe one! We offer a 100% Money Back Guarantee if you are not satisfied with our products. Available in 4 colors: Chocolate, Magenta, Ocean, and Indigo. I love this teething necklace and bracelet. Not only are they super cute but very durable. I got these for my 2 year old. She is a bitter and chewer. This has saved a little of my sanity. She now chews on these and not just random toys and misc. items. I wish I would have found these earlier. These would have really helped when she was teething. 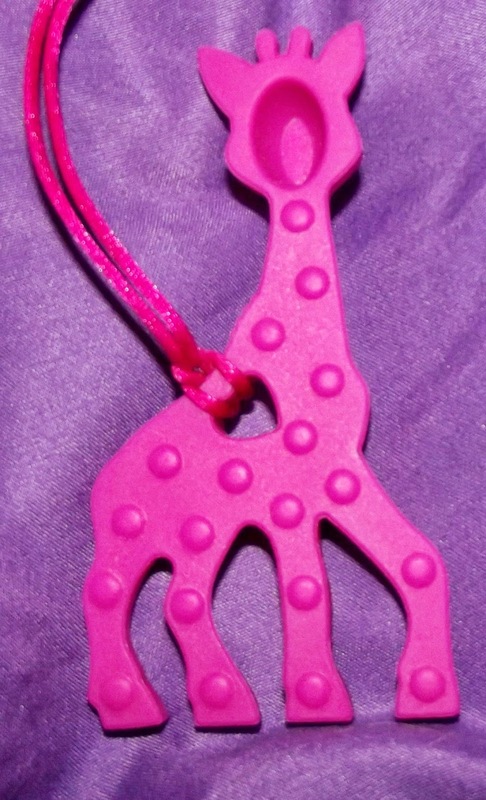 The giraffe's design is great. It can get to back teeth without causing her to choke on it. The back of it bumpy and would be great to soothe gums during teething. My daughter has chewed on it constantly since I got and it shows no signs of damage and she does chew on it hard and has all her teeth. If your looking for a cute and quality teething item I highly recommend. * I was provide to review and all opinions are my own and unbiased. Links are affiliate links.